Korean pianist Sunwook Kim came to international recognition when he won the prestigious Leeds International Piano Competition in 2006 aged just 18, becoming the competition�s youngest winner for 40 years, as well as its first Asian winner. Since then, he has established a reputation as one of the finest pianists of his generation, appearing as a concerto soloist in the subscription series of many of the world�s foremost orchestras and giving recitals in leading concert halls. 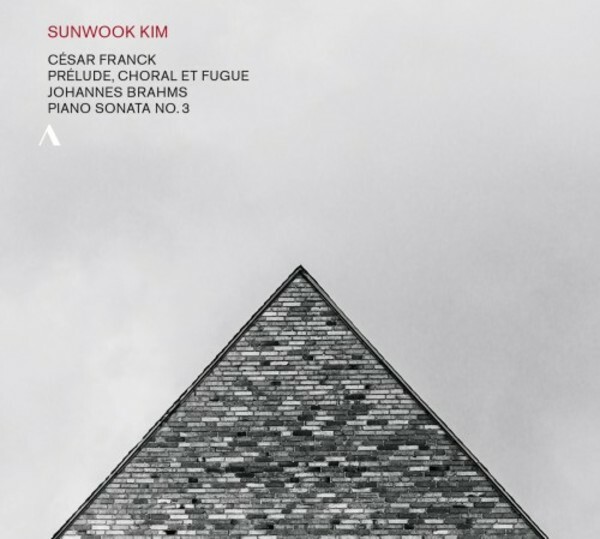 In this second Accentus Music recording Sunwook Kim compares and contrasts C�sar Franck�s Pr�lude, Choral et Fugue of 1884 and Johannes Brahms�s Third Piano Sonata in F minor, op.5, of 1853. In spite of the manifest differences in their musical language, there are certain points that the Belgian composer shares with his younger German colleague: both men were pianists, both venerated the musical forms of the past, especially Bachian polyphony, and both revered the spirit of Classicism. To these qualities may be added a love of proportion and a genius for organization and well‐ordered architectural structures, which are also reflected by the works presented on this CD.